The revival of API will require, as always, leadership on the part of Arabs, Israelis, Palestinians, and Americans. The Saudis say they are up for it, with the help of other Arabs, so it’s worth seeing what they can muster. But Israeli, Palestinian, and even American leadership are big question marks. You’re right, Abbas is possibly too weak to deliver, and Netanyahu is too strong to even bother. But those are not insurmountable challenges. The IDF [Israel Defense Forces], along with numerous reasonable politicians in the Knesset, see a lot of good in API, and it’s possible they can generate a political force to pressure Netanyahu, on the condition that they receive guarantees from the Arabs that the plan is negotiable (which it is). Abbas could be strengthened with Israel’s cooperation on improving the living standards of Palestinians. In Washington, the choice is between presumptive Democratic nominee Hillary Clinton and Republican nominee Donald Trump, and they couldn’t be more different. I’d bet on Hillary, given her experience and regional relationships, to work on this issue constructively. Trump is too raw, and, yes, unpredictable. Q: What are the main objections to the initiative? Saab: The Israeli government thinks it’s not a useful document because it lacks specifics and provides an ineffective mechanism to end a multilayered Israeli-Palestinian conflict. Several former US officials involved in Israeli-Palestinian peace talks believe it’s too ambitious, unsophisticated, or unconventional. Also, they’ll tell you the sequencing isn’t right. In today’s Middle East, Syria is the priority. No Israeli-Palestinian deal, they say, will terminate the burning civil wars of the region, defeat the Islamic State, or counter Iranian aggression. I think a lot of this is true, but critics are missing the point: To achieve serious progress on any of these regional challenges, real collective action and robust cooperation are a must. And while ad hoc coalitions in the Middle East have helped lately in tackling some of these issues, none would be more significant and force-multiplying than one that would seek to integrate Arab, Israeli, and possibly Turkish diplomatic, economic, and military capabilities. So I am not saying that Israeli-Palestinian peace will establish order in the Middle East. No, a peace agreement, sadly, is not an end in itself, but it would bring in major regional stakeholders together like never before to more effectively address Syria, Libya, Yemen, and the rest of the region’s problem sets. Q: What specific amendments are required to make the initiative more palatable to the Israelis as well as the Palestinians? Saab: The document is negotiable; the Arabs have made that very clear. For API to have legs, it has to have a credible and just Israeli-Palestinian peace deal, but there is room for amendments. The Palestinians and the Israelis will have to negotiate bilaterally, as always, but the Saudis, Egyptians, and Jordanians can enable this process and legitimize it. They are in a position to address Israeli concerns about the initiative’s language regarding borders and refugees. On security, Washington can offer assistance more effectively than any other country. Q: Are the Arab states willing to set aside the demand that Israel give up the Golan Heights to Syria in light of the prevailing situation in Syria? Should they be? Saab: They can defer it but they won’t ignore it. Today, we have an interesting situation in Syria. There’s a big question mark on Syrian sovereignty (although Bashar al-Assad hasn’t been indicted and the Syrian government is still recognized). Clearly, Assad has lost legitimacy in the eyes of most Syrians and most Arabs; Moscow and Tehran still consider him the sole representative of the Syrian people. His country’s membership in the Arab League has been suspended. So all of this creates both problems and opportunities. 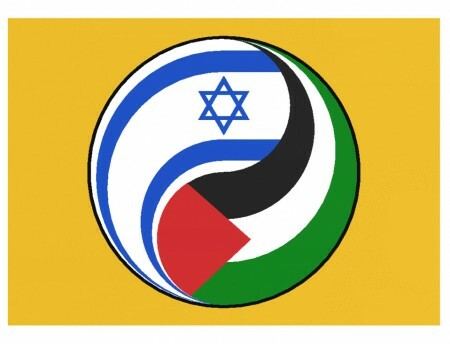 The Arab Peace Initiative can resolve this by making an amendment stipulating that the issue of the Golan Heights (and the issue of the Shebaa Farms and the Lebanese-Israeli borders) would be resolved after the termination of the Syrian conflict and the creation of a more representative Syrian government (Hezbollah would never allow the Lebanese government to negotiate directly with Israel). The wording would have to be extremely precise because we might never end up with democracy in Syria, but the gist of it is that the Heights cannot be Israeli-occupied. They are Syrian territory. Q: How serious is the French peace proposal that is backed by the European Union? Saab: It doesn’t have teeth or credibility, and frankly is a non-starter. It can complement other efforts, but cannot deliver peace on its own. Q: Do you believe that the Quartet should be shelved and energy invested instead in a more regional approach, as envisioned by the Arab Peace Initiative? Saab: I see this having multiple layers and different actors playing different roles. The bottom line, and what has changed, is that some major regional players today have higher stakes in Israeli-Palestinian peace than before and have privately expressed a desire to play more active roles in the process. You have the main antagonists and negotiators, then you have the enablers, and finally the moderators. For this to work, everybody has to chip in. Q: What should the Obama administration be doing, that it is not already, to ensure the success of the Arab Peace Initiative? Saab: It’s too late for [US President Barack] Obama. [Secretary of State John] Kerry did his best, but he ran into Israeli obstructionism and Palestinian weakness. This would be for the next US administration. But it is up to the Arab states to start signaling today their desire to assume greater responsibilities and to shape the foreign policy thinking of the next US president. How significant would it be for a US presidential nominee to endorse API during the debates? It would be huge. Regional solutions for regional problems, that’s what we should be pushing for. Q: The nuclear deal with Iran and the rise of ISIS have added a sense of urgency for Israel and the Gulf Arab states to work more closely together. What impact would a failure of the Arab Peace Initiative have on those efforts? Saab: Whether it’s API or any other peace initiative, failure would make it much more difficult for Arabs and Israelis to address the threats posed by Iran and ISIS effectively. These two grave national security threats require robust cooperation and collective action. There’s no way around it. Without a peace agreement that would formalize relations, Arabs and Israelis (and possibly Turks), are unable to elevate their currently discreet and modest security cooperation. If you think Yemen is what Iran is capable of doing in terms of destabilization, you’ve seen nothing. Yemen was a walk in the park compared to what the Iranians can do in Bahrain, Kuwait or Saudi Arabia. There would be a price for Iranian expansionism and bellicosity of course, but there would also be massive opportunities for them especially if Washington further retreats from the region. This new Iran, backed by Russia and soon awash with cash, will be quite the formidable force. Together, Arabs and Israelis can confront Iranian designs more effectively. But this can only happen if Israeli-Palestinian peace—and a credible one—is achieved. Q: At a time when the Saudis are grappling with economic challenges brought on mostly by low oil prices, what is the incentive for the king to take up the politically risky Arab Peace Initiative? Saab: I have sympathy for the argument that the Saudis, for the foreseeable future, will be domestically focused. But I also know that Deputy Crown Prince and Defense Minister Mohammed bin Salman has a lot—some say too much—power and ambition in Riyadh. He’s up for bold ideas in foreign policy and it’s possible that he has already sent out feelers about API. He wants to show the world that he is not a reckless warmonger, but rather a man of peace. We have an interest in encouraging the Saudis to play a more constructive role in the region. And if it’s under the leadership of Mohammed bin Salman, so be it. Ashish Kumar Sen is Deputy Director, Editorial, at the Atlantic Council. For more information on issues and events that shape our world, please visit CSS Security Watch Series or browse our Digital Library.